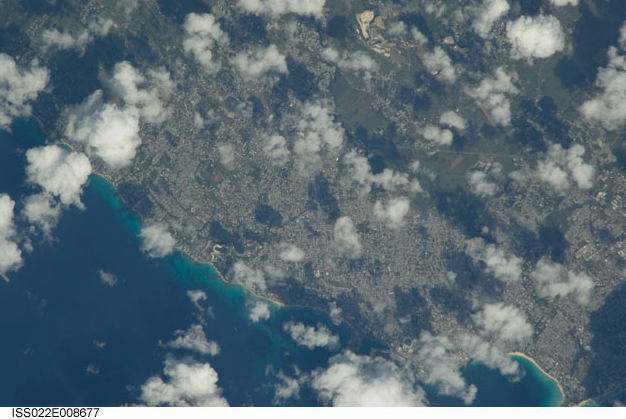 Did Barbados smile for the International Space Station cameras? If you had a feeling you were being watched yesterday, your senses were accurate. 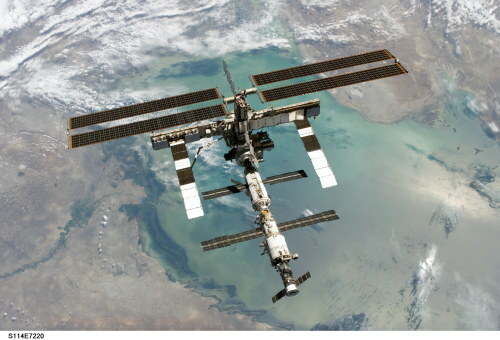 The International Space Station (ISS) made an orbit exactly above Barbados and the astronauts were clicking away with their Nikon digital cameras. This was a planned event that was announced ahead of time, but we didn’t find out about it until it was over. Here’s a photo of Barbados taken on a pass a year or two ago. You can check at NASA for the new images when they are posted. Don’t forget to smile and wave! Did the North American slave trade kill Africa’s self-sufficiency in food production? How did African slaves change North American native tribes? Shona was surfing around last week and discovered a wonderful blog by North Carolina writer and historian B.C. Brooks. Mr. Brooks loves history and the details of Bajan/African history and influences upon the Carolinas and Florida. 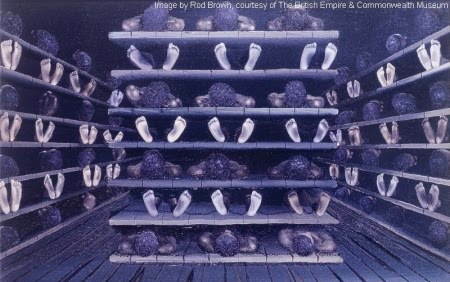 Until I read his article Land Pirates and Tory Capitalism I didn’t know that as early as 1708, slaves from Barbados and Africa outnumbered white colonists in North Carolina. Cowboys and Indians… or should that be “Cowboys and Africans” ? Here’s something else I never thought about: cultural and behavioural changes in North American Indian tribes as a result of African influences from escaped African slaves. In his article African Influence on the Seminole Indians of Florida Mr. Brooks looks at how African culture and knowledge transformed North American Indian societies. After reading his blog, I’m convinced that by the time the “Indian Wars” of the mid 1800’s rolled around, American Indian culture was heavily Africanized in many regions. 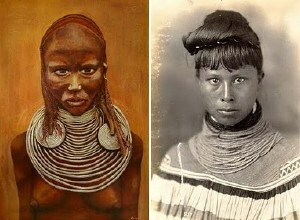 Just take a look at the similarities between a photo of a Florida Seminole woman and a painting of an African woman at the top of this article. It’s all fascinating stuff and well worth your time. Barbados, an island nation founded by the British, has remained staunchly British throughout its entire history. Furthermore, it has also been the locus of intense anti-Parliamentary and Anglican immigration (later known as “Tories”) after the English Civil War, through the Glorious Revolution, and continually throughout the eighteenth century. A dark cloud of imperialism covered the island nation, a symptom of the massive storm that swept across the continent of Africa for centuries. Barbadian lands quickly became incapable of supporting English capitalistic fervor. Barbadians, for lack of a nice way to phrase it, “raped” their own island. However, this unsavory tendency covered more than mere real estate. In 1670, these unscrupulous businessmen brought those practices to Carolina, along with an increasing number of enslaved Africans, along with their “purchased” agricultural ability.